Let Our Professionals Install Your Commercial Roof Properly. When you are on the hunt for a commercial roofing company that is reliable, hard-working, and gets the job done right, you can count on OnePro Roofing to be there for you. As commercial roofers, we strive to be the best for you and with that, we stay up to date with all the industry standards and latest growing technology that roofing has to offer. We install the highest quality roofs around and have skilled, licensed, and experienced roofing contractors that handle all of your roofing needs. We do this so you and our team are protected against anything that comes our way. Our roofers are fully insured and make sure to meet all the OSHA requirements as well. Whether you need a single ply roof, roof coating, or metal roof, we will make sure that it is installed correctly and gives you the protection that you desire and deserve to have on your building. We also understand that getting a commercial roof is expensive. It is a large space to cover and quality protection can cost you. We urge you not to look at this as a burden and go the cheaper route. Your roof is an investment that will last you over 20 years so you will want to choose something that ends up paying for itself in the end. Our talented team at OnePro Roofing specializes in multi-family commercial roofing projects, so we can absolutely handle your condominium or apartment complex build. If you’re a property manager or property owner, struggling to keep tenants dry and the complaints at bay, then you need to call us ASAP. We can provide a free evaluation and estimate of repairs we recommend keeping the roof over the complex secure and ready to withstand the Florida elements. You can’t afford to forgo needed roof work, so trust us to make the right recommendations — whether it’s commercial roofing repairs or replacement — and put the worries behind you. It’s our job to consult our clients with their well-being and livelihood in mind, and we can deliver the quality roof work you need to stay afloat. Did you know that the great warranties offered by most roofing materials manufactures will be considered null and void if you don’t have a proper installation? Even repairs can destroy the integrity of the overall investment in a commercial roof if done hastily and without expertise. We take these realities very seriously, especially when they can result in substantial structural damage or even physical harm to interior residents in times of extreme conditions. You cannot afford as a property owner to overlook this vital component of your building. Our job is to be the resident expert on your team to keep your roof on the up-and-up (literally) and to reduce the burden you carry in regard to the integrity of the building. We can work with your budget and make sure that you get exactly what you want out of a new roof. You should feel protected and have peace of mind knowing that your building will be safe from the outdoor weather and give you the proper benefits that you are paying for. When you want a high-quality commercial roofer in Winter Park, FL, call us at (321) 354-1600! We can discuss your options to get you the perfect roof, right away. What Are My Commercial Roof Options? With so many options to choose from, it can be a little overwhelming to decide or even know what is the best option for you. There are quite a few that you can choose from, but the best thing that you can do is to decide on several things before choosing the one you want. You should know what your budget is. We can work with you, but it is a good idea to see what you would be willing to spend so that you know exactly what we can work with. As always, you get what you pay for, so knowing that roofing is often a large expense, we can present options within our recommendations to give you the maximum information needed to make the best decision for your place. Because only you can do that, and we will support you with our years of experience and counsel from helping multi-family complex owners do the same. Another thing you should know is what you want out of the roof. If you want something long term that will last for over 50 years, we would recommend a metal roof; and if you want something waterproofed and sealed down, we may recommend a single ply roof. Each factor will depend on the type of roof you have and what you want it to look like as well. The shape and location can impact the best call for your complex, and we are happy to make recommendations based on the unique variables you’re working with. For new builds, we’re highly adept at discussing the pros and cons of the intended architecture so you know what options you’re going to have available to you, and can, therefore, make better decisions for the long-haul when it comes to maintenance and longevity. Not all materials perform and function the same, so we consider it part of our job to make sure you know what you’re working with to better take care of your renters/buyers. Not sure what you want or what direction you should go when it comes to materials and longevity? We can help you make that decision and navigate your options! OnePro Roofing has done many, many commercial roofing installations, so we can provide first-hand experience about what works and what doesn’t. This is the benefit of hiring local experts who understand what you’re dealing with as a multi-family commercial property owner. Commercial buildings are unique when it comes to considering roofing materials and installation methods. You don’t want to find yourself with a shoddy covering when your reputation and very business is at stake. It’s one thing to find roofing contractors who can take care of your roof, and quite another to partner with a team of highly-trained and experienced professionals who know exactly how to not only repair but also anticipate the needs of your property’s roof before they even occur. Forethought goes a long way to avoid costly replacement and unhappy tenants, and your complex affords for you to cut corners with this vital structural component. After a commercial complex roof install, we don’t disappear. We’re not drifting through town after storms, looking to make a buck. This is what we do, all day every day, and we’re here to help you retain your value and keep things stable. Because of the incredible scale of these types of installations (and even repairs), it’s a no-brainer to hire a team who can handle every aspect of the job. There are often surprises lurking underneath an old roof, installed decades earlier. You’re not hiring us for all the straight-forward stuff; you’re trusting us with those unfortunate unanticipated delays and extra work that will make or break the installation for the long term. When you call us at (321) 354-1600, our qualified roofing contractors can help you with anything you need regarding commercial roof installation in Winter Park, FL. We have extensive knowledge that we are happy to share with you. There are often so many options that it can seem overwhelming to choose one. We can show you what the benefits are and the different materials as well. Modified Bitumen Roofs Have Excellent Protection From Water Damage. An excellent option for commercial flat roofs is modified bitumen roofing systems. This product is a type of asphalt that is able to be applied in several fashions. This alternative to typical membrane roofing actually has quite a few advantages that some other membrane roofs don’t have. One of the biggest benefits of this type of roofing is how long it lasts. It outlasts many of the other types by staying on your roof for 20 years and longer. When you think about potentially relocating tenants or having to explain to the residents of your condo or apartment complex that you’re having to make repairs to their roof (again! ), it becomes prudent to consider the benefit of opting for a material that will reduce the instance of this inconvenience. You have plenty to worry about when it comes to overseeing your commercial property, so don’t let your roof be one of those. Making the right call at the point of installation can curtail a lot of drama down the road, and we can help you put a solid roof over the heads of your valued residents. If you’re looking for the old faithful when it comes to roofing materials, this is it. We install modified bitumen regularly, as well as repair existing roofs often with this approach. If you want to basic, set-it-forget-it approach, this will likely be your favorite of the options we offer. This no-fuss approach values function and simplicity and the weather-proofing aspect is highly desirable in our geographic location. We’ve replaced many jobs that are going from bitumen roofing to bitumen roofing, opting for the better choice of new versus more patching, but knowing that the material itself is great and the favored choice for the next few decades. Lots of clients return to this over and over again for other projects and properties they own or are building, and we agree that it’s definitely a front runner in our book on several fronts. This product is designed is to be completely waterproof, and that is done by melting the edges to seal everything else out. This makes the whole material completely seamless which is something it boasts over its competitors. Bitumen roofs are very strong and, because of that, are not easily cracked or torn. If there is a storm — even hail, water, wind, and fire — it will not typically do any type of damage to this roof. This product is one of the most expensive types to buy because it is usually recommended having the 2 or 3-ply installation done for the best protection because just one ply will not protect very well. Overall if you want a roof that will last a long time and give you top quality protection, call us at (321) 354-1600 and we can give you more information. Flat Roofs Are More Prone To Water Damage. This is especially problematic if you don’t often get up to your multi-family complex roof, which our clients don’t often have the time (or gumption) to do. Without having a set of eyes on your flat roof, knowing what they’re looking for in terms of signs of damage or disarray, you’re more likely to get an unpleasant surprise. Worse, it impacts your tenants, which means you’re subject to complaints and potential relocation on top of your roofing woes. The great news? We can take a look at your existing roof and provide guidance on when (or if) you should consider giving it some attention — be it repairs or replacement. We’ll shoot you straight and don’t have a knee-jerk reaction to replace every roof we see. It’s a lot of effort and materials to install a new commercial roof, so we take that seriously and don’t like waste any more than our valued clients do. We’ll work together to formulate a plan and a strategy to keep your flat roof secure and maintained to enjoy the benefits of the premium lifespan and performance. Luckily, there are a lot of different options that you can have installed on your commercial roof to help avoid these kinds of problems. Some of the most common types of roofing for a commercial multi-family building are modified bitumen and built-up roofing. The reason for this is that both work hard to seal out water and keep it from seeping through into your building and destroying the integrity of the roof itself. One of the most damaging leaks is the one you can’t see; left unchecked and without suspicion, your property could be enduring steady damage with every single rainfall, slowly degrading the very “bones” of your complex. This is not something you can afford, and we know how much you care about every aspect of your place. All the more reason to ensure you’re getting the right roof work for the materials and architecture in place, as not all repairs are created equal. Check out all the other options that our roofing contractors can install and repair, and if you have any questions just give us a call at (321) 354-1600 and we will be happy to help you. Cool Roofs Are Able To Reflect The Sun’s UV Rays Off Of It. Have you been thinking about all the different ways that you could lower your energy bill? Have you ever thought about changing your roof to do it? Putting a cool roof onto your home or business can do that for you. The way that a cool roof works is that it reflects the sunlight so that it does not absorb as much heat as a standard roof would. The material that is installed on your roof — whether it be painted, a rolled out cover, or shingles — are made to be highly reflective to the sun. Regular roofs that are dark can reach temperatures of around 150 degrees, but roofs that are cool are able to stay around 50 degrees cooler than that or more. This will keep your roof cooler which in turn keeps your building cooler and results in saving you money on your energy bill. Think about the benefit of a reflective roof for your residents! What a great differentiator you can offer to those evaluating your apartment complex or condo units to be able to boast cooler materials to help keep them comfortable year-round. The summer Florida sun is no joke, and providing a respite via your property is just another way to entice folks to call your place home. Not to mention, cool roofs are often visually appealing given their uniqueness amongst the many dark, ho-hum roofs atop surrounding buildings and properties. We’ve seen gorgeous designs for new builds really pop when choosing a distinctive material that serves as the cherry on top (pun intended) and brings another level of curb appeal to the whole project. A Green Roof Is Good For The Environment And Your Energy Bill. Green roofing is the roofing of the future. It is taking over and for good reason. Green roofs are essentially a living roof that you grow in the top of your building or home. The roof is coated with a single or double ply roofing membrane for waterproofing reasons, as functionality is still vital when it comes to any rood. Then a drainage system is installed for the greenery to have proper run-off and keep the surface in good shape. And lastly, the plants will be placed across the surface of the roof. If this sounds like a visual treat for the eyes, you’re exactly right! Especially in urban environments where many of our commercial clients are building, a green roof quickly becomes the talk to the block. They’re innovative, sustainable, and provide really powerful benefits all around. We are really excited to offer green roofs to commercial properties in Winter Park and would love to share more about this trending option for your complex. Green roofing is not just having large planters on the roof; it is actually when soil and plants are growing on the surface of the roof. The first year of getting a green roof started, the maintenance is a little higher, but once it is established, you only need to check in one it every 6 months or so. 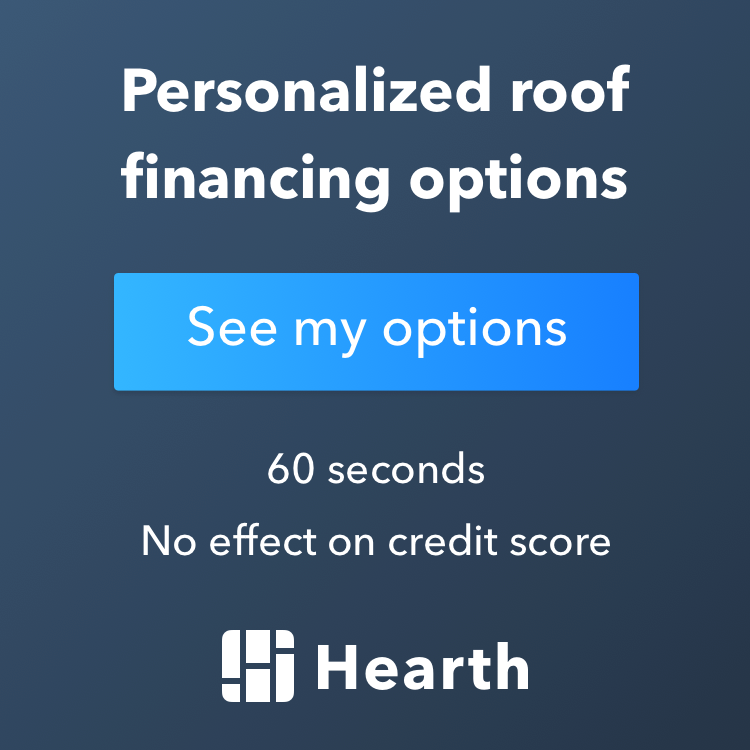 We understand that multi-family property owners don’t have the ability to constantly check on their roof, so this is a great way to put a solution in place that is largely self-sustaining, while still highly beneficial on many fronts. This roof can be a great option to choose and good for the environment. Consider the draw to eco-conscious potential residents and buyers who will love the fact that you have not only made a decision in terms of your roofing that is helpful in a practical sense (such as keeping their interior environment cooler), but also beneficial to the air and environment around them. Green roofs are a keen way to stand out from the crown and attract modern clients who will appreciate the attention to detail you’ve shown to the complex. If you want more information on green roofing, call us at (321) 354-1600. Updated on February 28, 2019 at 4:50 pm by OnePro Roofing.